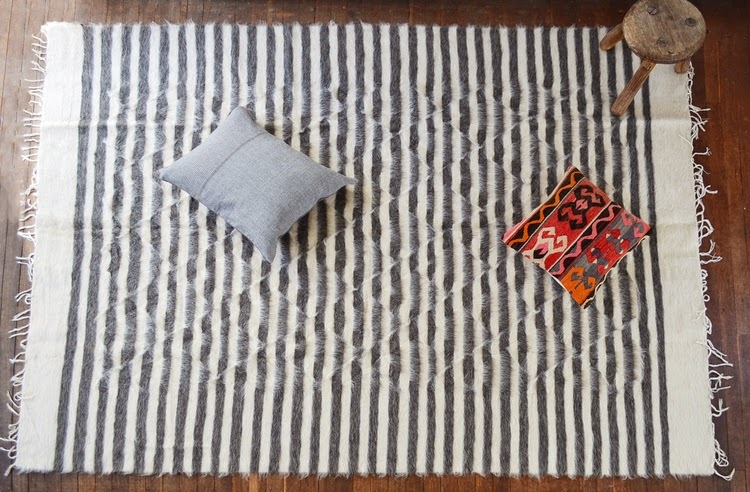 The Style Index : Rug Up: Rustic rugs, kilims and berbers. Rug Up: Rustic rugs, kilims and berbers. A handsome rug on a cool concrete or wooden floor give a room a loved-in look (yep, I mean love). Bare or stockinged feet feel happy when there's a rug to bury toes into, but a room can also get a instant colour and pattern lift with this one important furnishing item. Here are some examples of rustic handwoven rugs that have popped into my in-box of late (well, not the whole rugs, silly, but the email announcement of their in-store arrivals). The two hand-loomed goat hair rugs, below, are from Atolyia.. They are luxuriously soft and made by hand in Turkey. According to Atolyia the rugs were traditionally worn by shepherds in the mountainous areas of Eastern Turkey and used as blankets and as floor kilims in the tents of the nomadic people of this region. The rugs, above and below, are hand loomed using traditional techniques and without using any dyes. Atolyia have partnered with a school in the area to keep this traditional artisan skill alive. West Elm's Pyramids rug's geometric pattern adds graphic punch to the floor in durable natural jute. 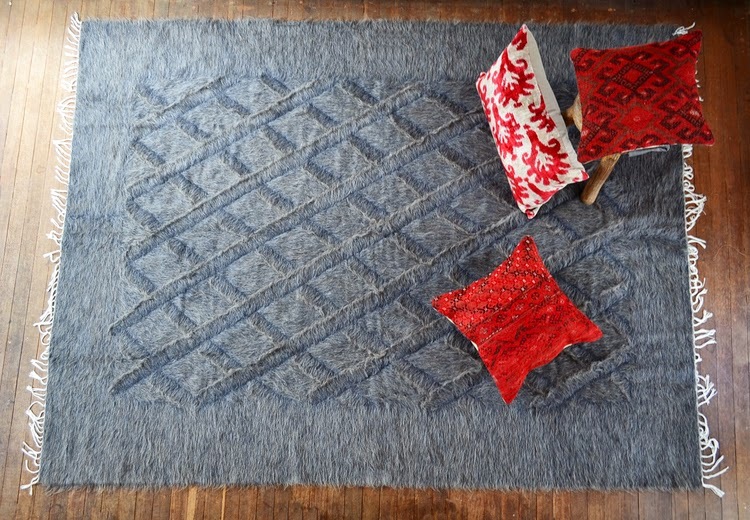 These two below, show how even the most rustic materials can make commercially beautiful rugs. handcrafted from New Zealand wool.